For the second year in a row, the free agent market has been slower than molasses in January. Big name free agents like Bryce Harper, Manny Machado, and Dallas Keuchel remain unsigned. Spring training is looming on the horizon and these high caliber players are going to need to sign somewhere. So, let’s imagine a world where the Twins could make a bid for Manny Machado. On Tuesday, ESPN’s Buster Olney reported that the White Sox offer to Machado was for $175 million over seven years. From the rest of Olney’s tweet, it sounds like Chicago is hoping the market continues to be cold and Machado will eventually agree to their terms. This was a similar situation to the one faced by JD Martinez last year before he eventually signed with Boston. Machado has reached free agency and he is only a year older than Byron Buxton. 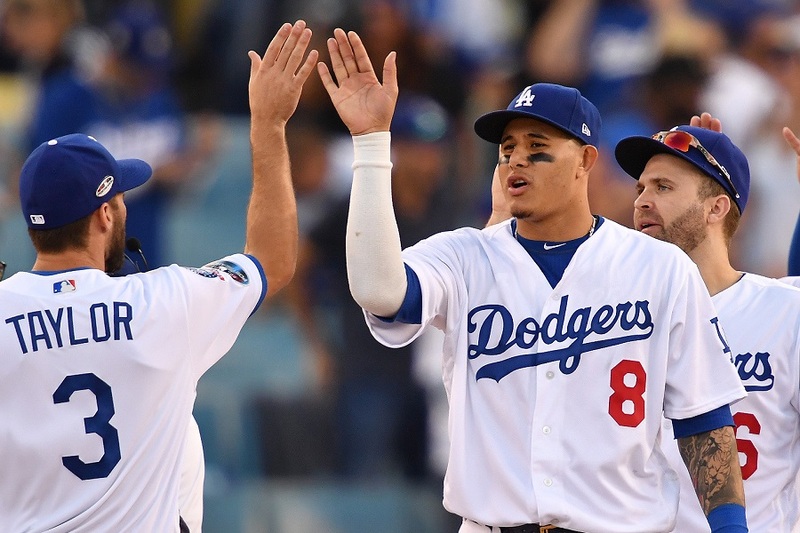 In the time Buxton has been trying to emerge at the big-league level, Machado has won two Gold Gloves and been selected to four All-Star Games. He’s also finished in the top 10 for MVP voting three times including two top five finishes. Also, he’s mashed 30 or more home runs for four straight seasons. Looking into Minnesota’s future, the club has almost no guaranteed money moving beyond the 2019 season. Younger players will continue to become more expensive through the arbitration process and the organization could look to sign some of the young core to a long-term deal. With Minnesota’s financial flexibility, there is room to add a player of Machado’s caliber. It seems like it would be easy for a club to top the offer on the table from the White Sox. Adding Machado to Minnesota could limit the club’s ability to sign the likes of Miguel Sano or Byron Buxton in the years to come. However, they both have a lot still to prove at the big-league level. How’s this for an Opening Day line-up? Signing Machado might be a pipe dream, but he’d certainly look better in a Twins uniform than roaming the infield for the South Siders. Chicago is an emerging team in the AL Central and Minnesota is going to be contending with them for the next half a decade. Wouldn’t it be sweet to steal their prized free agent? Let’s dream about that. Leave a COMMENT and start the discussion. Would signing Machado make sense for the Twins? Ripping off the ChiSox appeals to me. But I don’t like Manny. Does signing Machado fit the Falvine vision? It doesn't to be a match. That sure would be fun though to watch Machado with a TC on the cap mashing in Target Field. We have no money guaranteed next year (Cruz's minuscule buyout) and we are not in on Harper or Machado and that is really depressing. If not now, when? But but he would block Gordon and we might not have the money to pay our guys if they ever get close to as good as he is. I am not so worried about blocking Gordon, but I am worried about blocking Lewis and Javier along with Polonco.Do not see it happening and would rather have Harper and move Kepler to 1st. Offer him a deal, even a one year deal.You will get value out of it, even at 30M. I'm all in on Machado. A big contact takes him through his prime years. Once Lewis is ready move Machado to third and Sano to first. If Javier is pushing to be in the bigs you trade him for a starting pitcher. Guys like this, as young as he is don't come available too often. Pull the trigger and this team is instantly better. Depending on how the year goes, a trade for an Ace at the deadline could be a difference maker. I'd keep Polanco at SS, move Machado to 3rd, move Sano to 1st and leave Schoop at 2nd. Cron can either be a bench bat or released. From what I remember Machado's defense isn't great at SS and would probably be very good at 3rd. Can't the Twins add both? Isn't part of the deal with Machado that he wants to play SS? Correct. And that's likely one of the reasons why less teams are interested in him. Also i agree with SF Twins Fan. Keep Polanco at SS, Sano to 1B, Machado at 3B, Schoop at 2B. I am not so worried about blocking Gordon, but I am worried about blocking Lewis and Javier along with Polonco. Do not see it happening and would rather have Harper and move Kepler to 1st. Why are you worried about blocking at all? Machado can/should play third. (And Sano can/should play first, at some point.) Plenty of room for him and whatever prospects emerge over the next few years. Harper worries me a bit more. His K rate spiked to 24% last year, which isn't bad, but it isn't good either, and the Twins don't necessarily have a good recent track record of controlling K's. Plus he's just a corner outfielder -- he has to hit more than Machado to equal his value --- and to his credit, Harper has hit more than Machado over his career, but it's something that would worry me about a long term deal. I think the back half of a Machado contract could have more usefulness / trade value than the back half of Harper's, just based on position alone. There will never be a better opportunity to add a player of this caliber. Do it. This organization loves "value," and short term deals; it's a match made in heaven. Plus when he rejects the offer we can all shrug and say "they tried, what more could they do...."
3/100 with an opt out after the 2nd year and NTC. This allows him to try for a mega deal while he’s still in his prime. Twins can ship him for prospects or hit him with a QO. Most likely Falvine will offer 1/20 though. Don’t really want him on the team but that’s the deal I would offer. I don't think Machado is a winner.Harper please. I couldn't believe it when I saw another Machado article for everyone to beat to death.Personally, I don't want Machado on my team. I would take a serious run at Machado and not worry about blocking anyone! We don;t have anyone close enough t the majors that he would block.Lewis is talented enough that he could move elsewhere or by the time he is ready to take over the SS position full-time, Machado might be ready for 3B. With no long term commitments on the books, this is the type of move that the Twins brass could make that would allow this team to take the next step. I am not a Machado fan as far as some of the things he has done or said.However, he is at a star at a premium position, SS, and they don't grow on trees.This would be a HUGE win for Falvine! This is a no brainer in my opinion. We should do what the Cubs did with Darvish last year and swoop in. They might even be able to get away with 6/175 and just have one less year on it. In terms of risk, Machado is much lower than most. He's an infielder, not a pitcher. He would be an ideal 3 hitter in the line up, and between him and Cruz you have some nice protection for the guys batting 1 and 2 along with guys that will be on base making it more difficult to pitch around the 5 hitter. Adrianza gets cut. Polanco moves into the utility role and should still get plenty of at bats as he covers the days off for Machado, Sano, and Schoope. Machado can play 3rd, giving us the occasional chance to rest Sano or a flex option if Sano gets hurt. It allows us to acclimate Gordon slowly during 15 day DL trips. You're getting an HOF caliber player going into his prime. It will be hard to add 1-2 top of the rotation arms and extend their own future stars, if they commit $35-40M a year to a single player, plus putting most of your eggs in one budget highly increases the risk. If the Twins were willing to trade top prospects for cheaper controllable top of the rotation pitching, would have been a different story.However, I am not sure that they are willing to do this at this point, not that what they are doing is "wrong" by any means.It is a strategy.